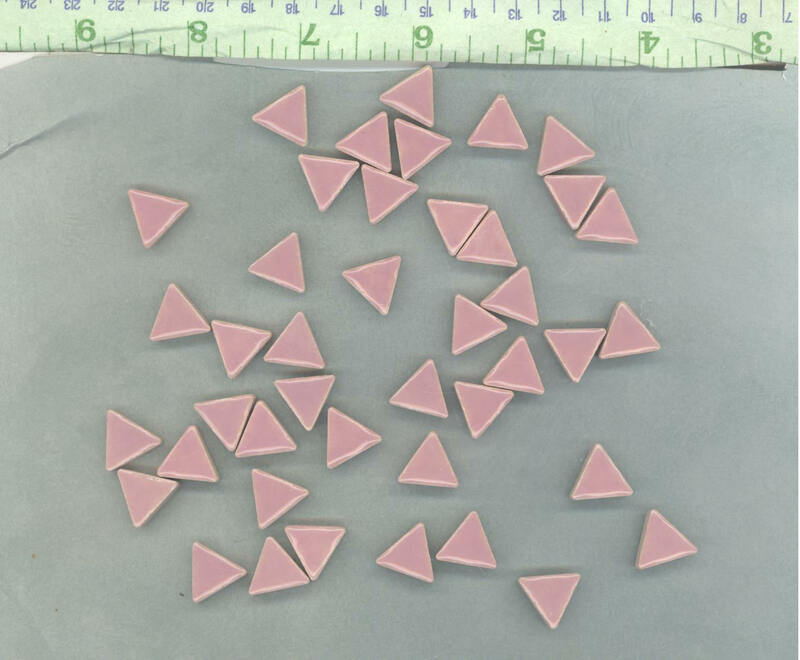 These triangles are 15mm x 15mm x 15mm (5/8 x 5/8 x 5/8 inch). They are 5mm (1/4 inch) thick. 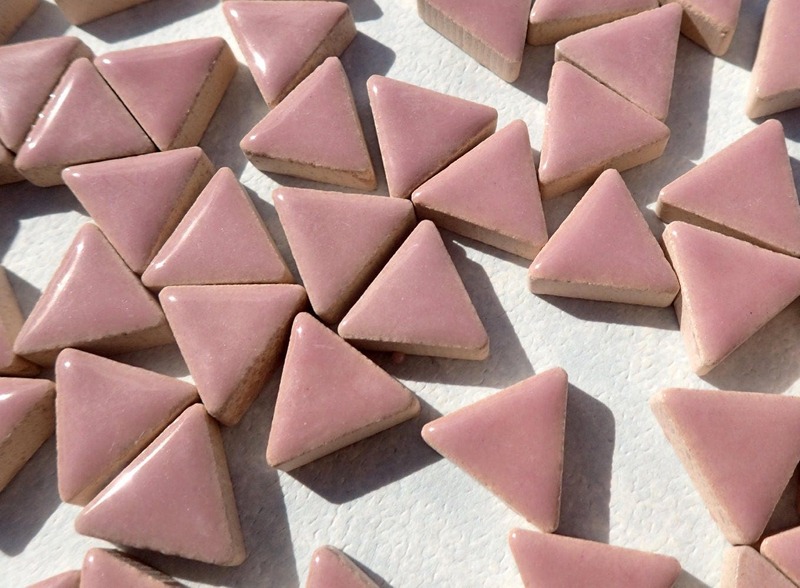 Combine them to make diamonds, hexagons, or lines. Great for edging and fun patterns. Triangles also make great texture when used to fill in areas. 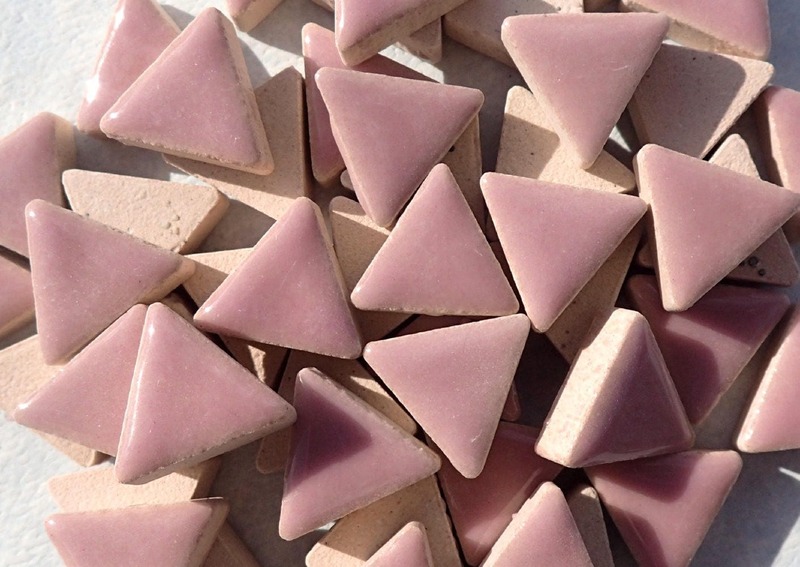 These triangles are a deep mauve, with almost a bit a purple in them. 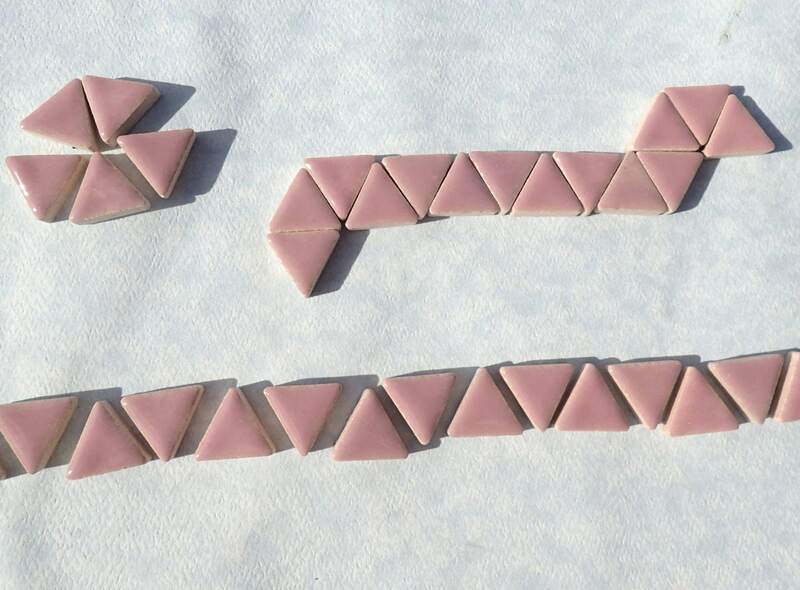 This is for 50g of tiles, which is approximately 42-45 tiles. 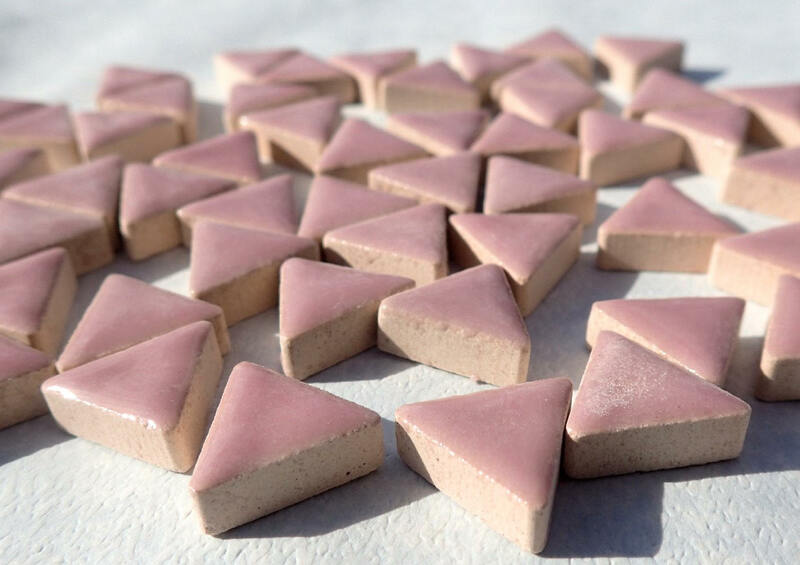 These are UV-A Resistant high-fired ceramic. While recommended for indoor use, if using for outdoor projects, seal the backside prior to use.